The Vladimir Fédorov Award is given annually to the best article published in Fontes Artis Musicae in a given volume year. 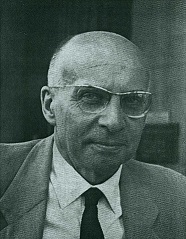 It is named for Vladimir Fédorov (1901–1979), the first Editor-in-Chief of the journal from its beginning in 1954 (Volume 1) until 1975 (Volume 22). A scholar of Russian music, from 1933 until his retirement in 1966, he held a number of appointments as librarian. First at the Sorbonne (1933–1939), the Bibliothèque de documentation internationale contemporaine (1944–1946), and finally at the Département de la musique at the Bibliothèque national de France (1944–1966). He was honored by his colleagues with a Festschift in honor of his sixty-fifth birthday, which was published in Fontes 13, no. 1 (January-April 1966). Andrea Lindmayr-Brandl: “Early Music Prints and New Technology: Variants and Variant Editions.” Fontes Artis Musicae 64, no. 3 (July-September 2017): 244–259. DOI: 10.1353/fam.2017.0027. The François Lesure Award is given annually to the best review published in Fontes Artis Musicae in a given volume year. 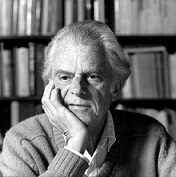 It is named for François Lesure (1923–2001), the first Editor of the ‘Books Reviews’ column in the journal, beginning in 1976 (Volume 23) until 1987 (Volume 34). Lesure’s research was broad in scope, ranging from topics on the sociology of music, sixteenth-century French music, Debussy, and bibliography of all periods. Beginning in 1950, he was a librarian in the Département de la musique at the Bibliothèque national de France, becoming its Head in 1970, a post he held until his retirement in 1988. Lesure offered his remembrances of IAML in the fiftieth anniversary issue of Fontes (‘Souvenirs, Souvenirs’, 48, no. 1 [January-March 2001]: 25–26). Terry Dean, review of Sergey Prokofiev Diaries, 1915–1923: Behind the Mask and Sergey Prokofiev Diaries, 1924–1933: Prodigal Son. Fontes Artis Musicae 63, no. 2 (April-June 2016): 151–156. DOI: 10.1353/fam.2016.0012. Hayley Fenn, review of Opera. Complete Archive (Vol. 1 [February 1950]–). Fontes Artis Musicae 64, no. 3 (July-September 2017): 310–312. DOI: 10.1353/fam.2017.0034.